On Saturday, Dec. 8th our HD Ningbo Wolves Swimming Teams participated in their very first swim meet. In fact, this meet was the first of its kind in all HD Schools. History was in the making as our Wolves welcomed Wellington College Hangzhou. As the heats began, a competitive excitement filled the air. It had been a long and trying journey to get to this moment and our Wolves and community showed a great deal of pride. Our teams swam with their hearts and represented with their character. At the end of the day, our HD Ningbo Wolves were well represented in the awards ceremony. Julie from 403 won the U11 breaststroke and Kingsley from 601 won the U11 freestyle. Congratulations to all of our swimmers and we look forward to following their continued successes. 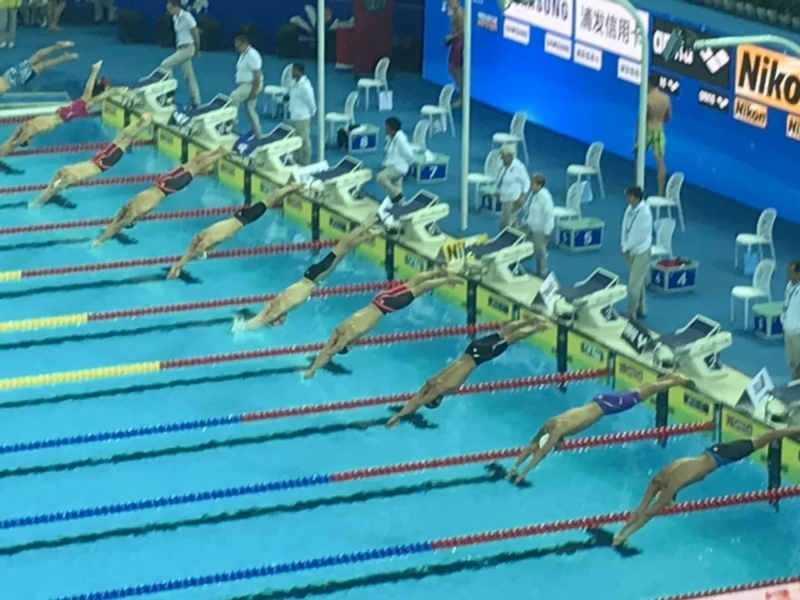 From December 8-10th, Hangzhou played host to a world class FINA Swimming Coaches Convention. With an extraordinary opportunity to learn coaching and teaching strategies from some of the world’s best coaches. Ms. Sabine Slijm and Mr. Simon Xiao represented HD Ningbo School at this event. They attended seminars, workshops, and listened to keynote speakers including Xu Guoyi, Thiago Pereira, David Gerrard, Dr. Kevin Boyd, and David Lush. 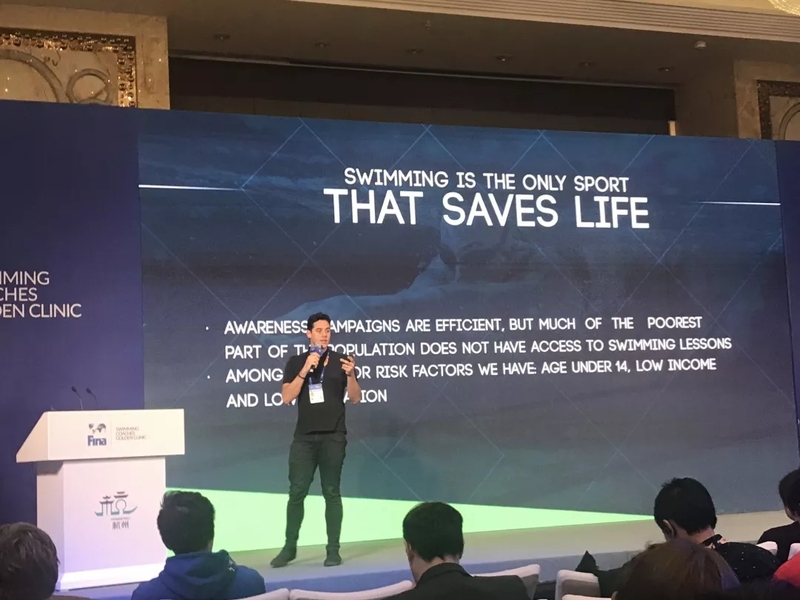 Two of the highlights of the convention were the Swimming for All, Swimming for Life workshop delivered by the FINA Executive Team and Road to Tokyo 2020 delivered by Balazs Virth, the Head Coach of the Hungarian National Swimming Team. Overall, it was an incredible learning experience for our teachers and I am sure that our students and community will benefit greatly as a result of their attendance and participation. 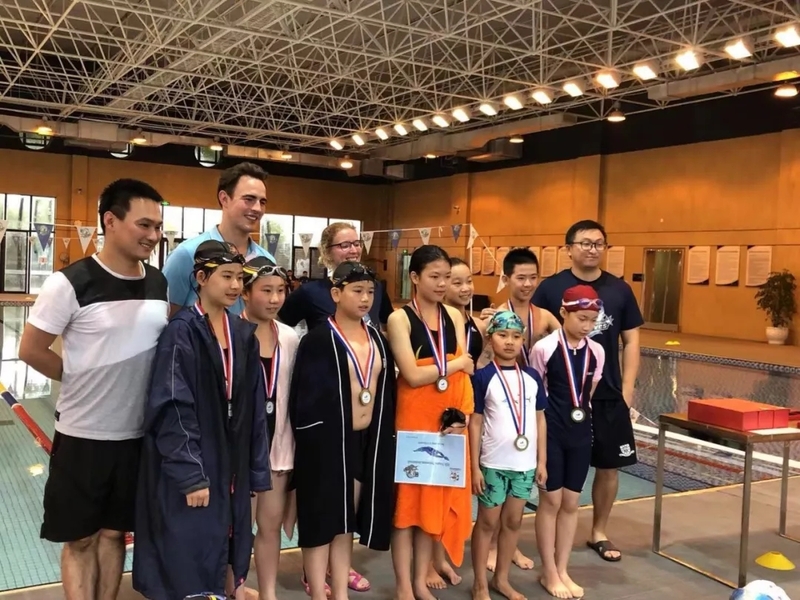 In support of the development of our swimming program, Ms. Sabine Slijm and Mr. Simon Xiao took the HD Ningbo Wolves Secondary Swimming Team to the FINA Swimming World Championship in Hangzhou on Thursday, December 13th. Students saw events such as 100M individual medley, 50M butterfly, 50M backstroke, 4*50 mixed medley, and 50M freestyle races. Most of our students had never seen a world-class swimming event and they cheered valiantly for the National Swimmers. This was an awesome team building activity and an eye-opening experience for all.